Ever since I discovered Landers last year, it has always ben my go-to store in finding the perfect wine for me. Now that we're older, we have upgraded our alcoholic beverage choice to wine and Landers has always made it enticing me for me to shop and look around at their superstores. Their dedicated wine and spirits area is easy to maneuver around and they always have the best deals. I remember hoarding our favorite Gossips Sweet Lips wine there last year. Landers have made it more interesting to shop for the perfect wine this HOliday by showcasig their select spirits on their first ever Wine Fest, shoppers get to sample exclusive wines at the store. I was quite happy to be invited to try it at their Alabang West store and boy did they whet my appetite for the parties to come. Not only that we were first to try out all kinds of cheeses and delis that is worthy of a high-end grzing table. It's all the rage right now but you don't need to hire a caterer and burn your wallets. Landers offer a lot of varieties, including the coveted manchego cheese. 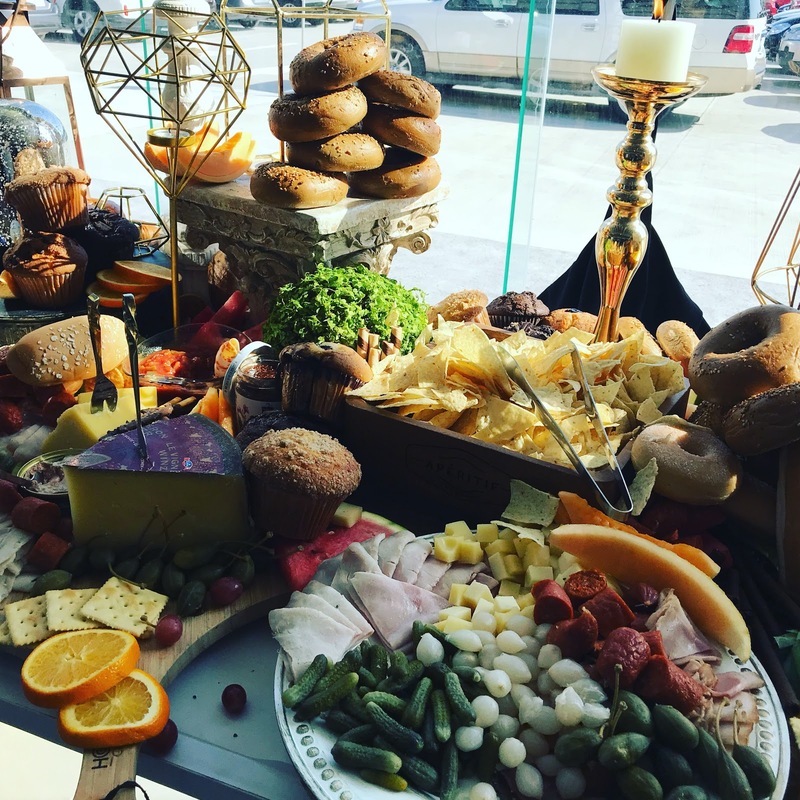 This spread right here is actually done just using delis, cheeses, nuts and crackers that you can find at Landers! No more membership is fast-rising at this exclusive-membership Superstore! I also loved that they invited people to talk about wine pairing and we got to know more about the history. of the brands that they carry. I got intrigued with Tenute Rubino. It's an Italian range of wine made in Apuglia. They offer Bianco (White), Rosso (Red) and Rossato (what we call usually as Rose Wine). I've tasted all three and I got to say that Rosato is my fave next to Bianco. I paired it with the Manchego cheese Landers offer and oh what a glory to the tastebud. I know it was just a sampling wine fest but I really wanted a full glass of it. Marmorelle Bianco has a fluid taste in it. A bit salty but also sweet. It's great with paired with seafood like Oysters. Marmorelle Rosso tastes so good paired with the dark chocolate coated-almond bars. Santeresa Vermentino is my preferred white wine because of it is dry, crisp. Enjoy oysters and lobsters with this one. Santeresa Rosato is everything to me. Not too dry, a little sweet but and great with either seafood or desserts. Like moscato, I pair this with a nice panfried salmon and a slice of Sans Rival Cake. I learned a lot of the best wine pairing during my talk with wine expert Francesco De Mauri of Tenute Rubino. You can really feel the passion he has with wine as he discussed with us more of his brand and how it is made. Always thinking ahead, Landers is offering petite sizes of different Tenute Rubino wines cased in a giftable box. Each bottle contains half the usual size. Isn't this an adorable holiday display for Christmas? Jen Lorenzana of Stella Rosa boasted of their sparkling wine and I must admit that the nursing mom in me was intrigued. 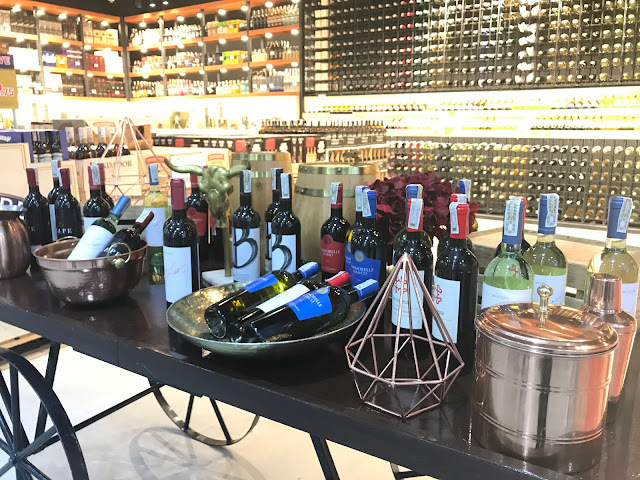 The series of wine tasting events was held in all four superstores in Metro Manila—Landers Balintawak, Landers Otis, Landers Alabang West, and Landers ArcoVia City. But if you missed it, no worries, all these along with other exclusive wine brands are all available at your favorite Landers store. 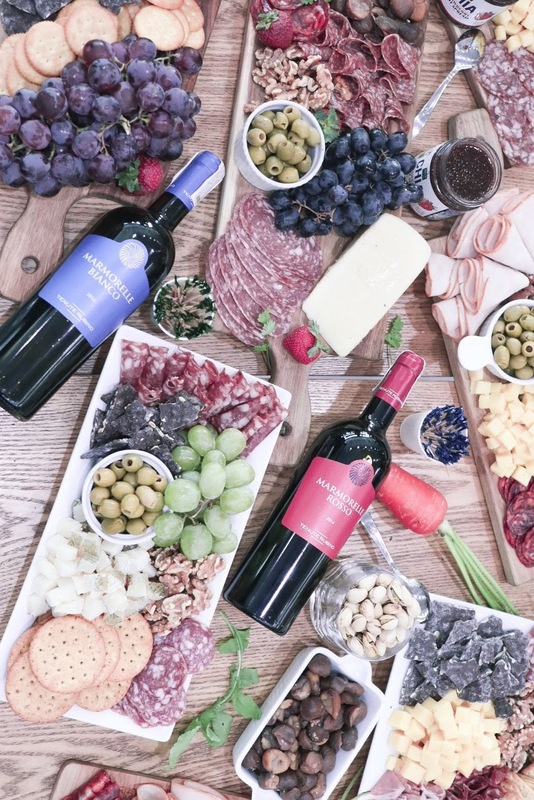 Other best-tasting brands are Salento Rosso Marmolle, Stella Rosa Rosso, and Amahle Shiraz. Among Landers’ white wine brands are Salento Bianco Marmorrele, Stella Rosa Peach, and Amahle Chenin Blanc. For an even more sumptuous celebration, also available at Landers are various kinds of cheeses and delis.